Is your boiler on the brink? If you hear clunking noises coming from your boiler, repair it quick with our boiler repairs in Hampshire. At Combi-Nation, we believe in securing the safety of your property by servicing the plumbing and appliances within your home or business. Your boiler is an essential facility needed to keep your property warm, and in the upcoming colder months it is ever more important to ensure that they are working correctly. With our boiler repairs in Hampshire, we guarantee to get your boiler back up and running with a quality boiler servicing. How will we repair your boiler in Hampshire? Your safety is of our utmost priority and it is crucial that you regularly check your boiler for any dangerous gases that could harm your family and loved ones. We will send one of our engineers to conduct a thorough clean and inspection of your boiler. 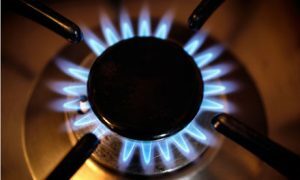 After surveying the situation, we will carry out whatever work is necessary to ensure your boiler meets the GasSafe standards of the industry. Our inspection will include tasks like removing any deposits sitting at the bottom of your boiler and checking for signs of leakage or corrosion. Lastly, one of the most important jobs is to analyse the gas meter pressure and inspect the system for any dangerous gases like Carbon Monoxide. For a reliable gas boiler service in Hampshire, look no further than the engineers at Combi-Nation. Here, we are dedicated to providing a service that ensures all of your heating and plumbing is of the best quality. It is quality that we pride ourselves on and what every customer will receive when they choose us. With fixed, free quotes and as a GasSafe registered company, we are the company to call on for all types of plumbing and heating services. All over Hampshire, our Worcester-Bosch and Remeha approved installers will deliver superb results on each and every project. Give us a call on 023 8077 5666 or email Combi-Nation on info@combi-nationheating.co.uk to get your boiler repairs in Hampshire.